Over the years I have moved house a few times and didn't always have a job to go to when I arrived. Fear of the unknown and the uncertainty of the future do play a large part in the way we react to the events of the day. It must have been quite a burden for Johann. 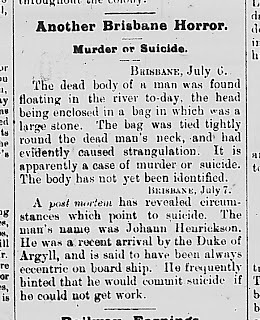 Johann was aged 35 when he arrived in Brisbane on the 26th of June in 1899. There was no date recorded for his death and no one knew the names of his parents. 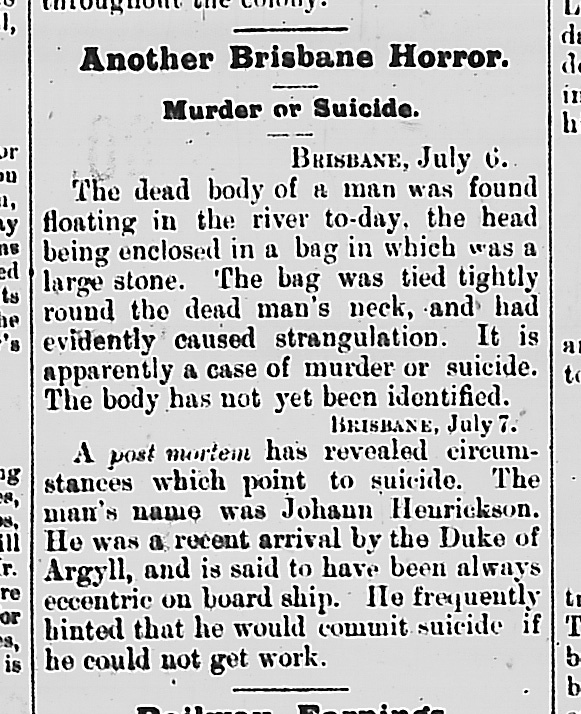 He was buried in the South Brisbane Cemetery, Dutton Park Portion 2H, Grave Number 425 on the 8th of July, 1899. Bessie BROWN (nee McGREGOR) came to keep him company in 1956.